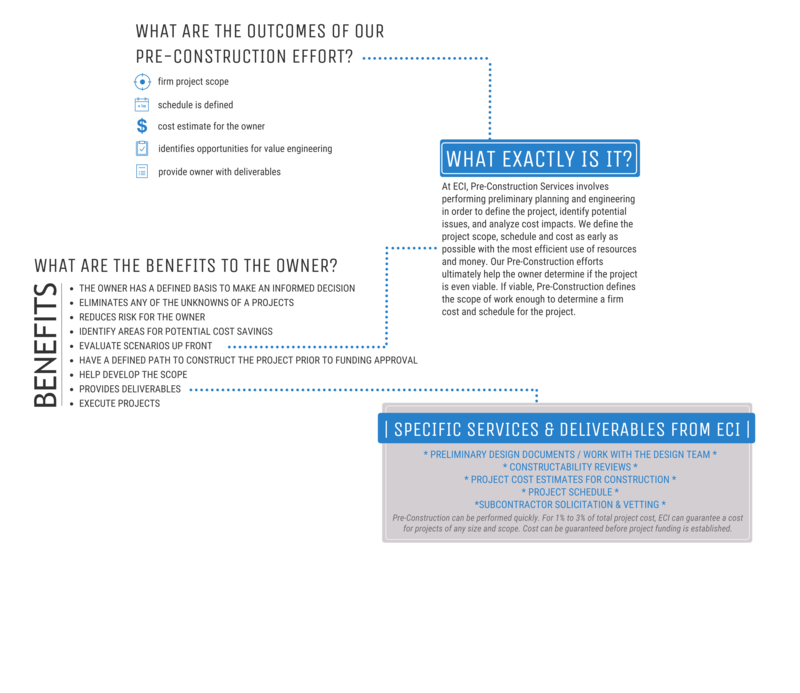 ECI leverages our extensive design and construction expertise to develop project definition, scope, cost, and schedule at the earliest phases of a project. Using pre-construction strategies, we can guarantee a cost and schedule for your project. Our comprehensive pre-construction services assist clients with project scope development, constructability reviews, value engineering, and preparation of construction costs. All of our construction cost estimates are prepared in-house by our professional estimators, and we supplement these estimates with pricing from either our subcontractor base or project specific, pre-qualified subcontractors.